Plastic Parfait | A figure and anime blog. I hope everybody is enjoying the holiday season! 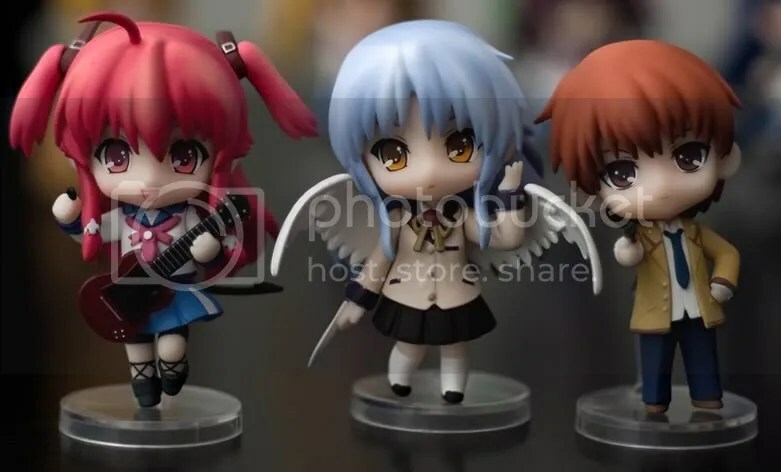 Today I’m looking at Good Smile Company’s Angel Beats! Nendoroid Petits Set 02 and while I was very happy with Set 01 (which I reviewed here), I was looking forward to this set just a little more since all 3 characters in the set are favourites of mine from the anime series. Good Smile Company even threw in a little last minute surprise! In the spotlight today is the 4th Se.Kirara girl to be released, Izumi Shizuno. This time I’ll be breaking Zai’s streak of reviewing the Se.Kirara line because, well, Izumi happens to be my favorite. An awesome shade of blue hair, short skirt, and big… proportions, yes. Sadly, this will probably mark the end of our Se.Kirara reviews since we will be passing on the final girl in the series, Miyuki Mana. But let’s see how Izumi and her accessories turns out! For a popular Vocaloid such as Luka Megurine, there are surprisingly few figures of her available to the mass market. I own the Nendoroid Petit but the pose on her is a little meh. The full Nendoroid just looks like a bigger version and there are a few Nendoroid variations and statues floating around. So when the Figma was announced, I was ecstatic, and it seemed many of you were as well. Does she live up to the hype though? Mari is a great example of why I love the Figma line and I had so much fun playing around with her while I was taking review shots that I ended up with a lot more than I usually do! 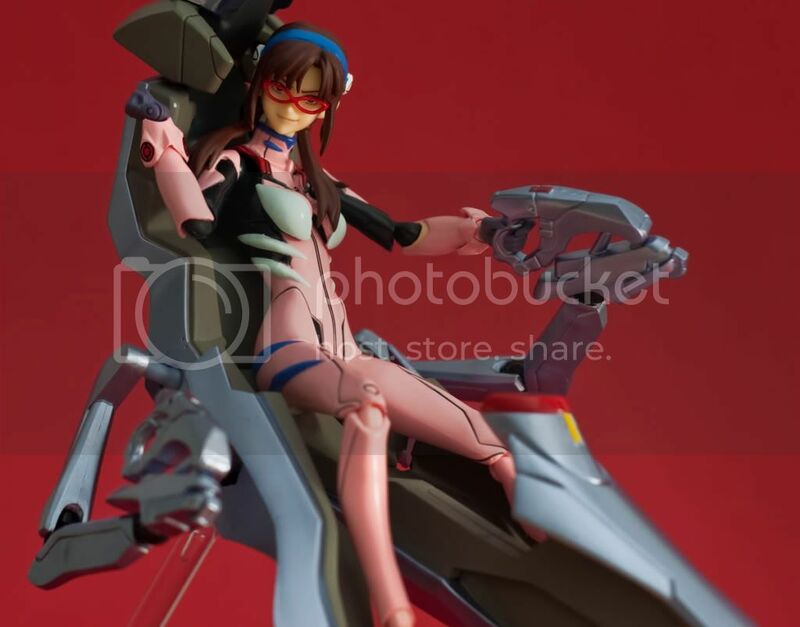 She was pretty much a must buy for both of us, being your typical long time Evangelion fans and all but I wasn’t really all that excited about her Figma at first. Mari is a newer character to the franchise and hasn’t had the time to grow on me as much as original cast has but yeeeah, I ended up falling for the Figma as soon as I opened her plastic blister. One of the year’s most anticipated figures. 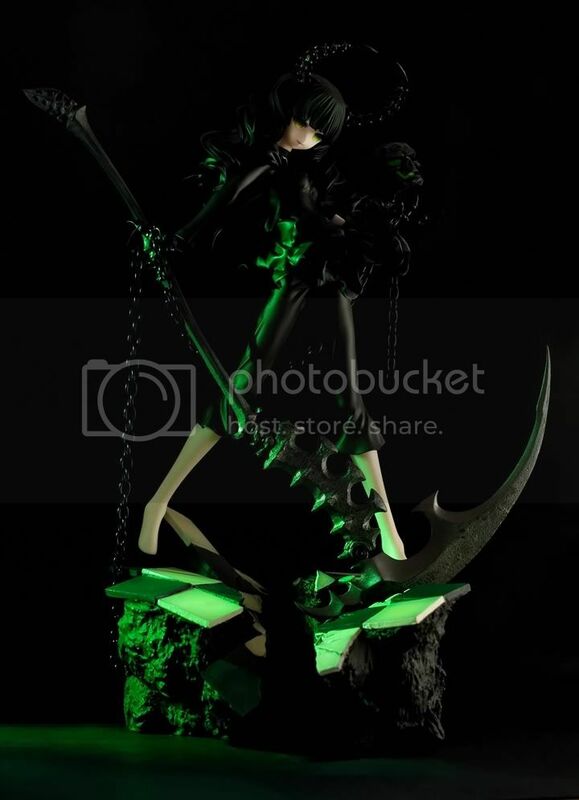 THE Black Rock Shooter figure. Sorry Original and Black Blade, you guys had boring poses. The chains, the motion, that gun! Awesome! But wait. Missing star? Hair breakages galore? MG grade assembly skills needed? What’s going on? It seems like many years ago when I first laid my eyes on the prototype of this figure! It was back when my other half and I were getting into figure collecting and one of the very first figures that I really REALLY wanted. I was actually quite worried about how she’d end up like after hearing many reports of Good Smile Company’s questionable quality control lately and started to think that we’d end up with some deeply flawed monstrosity of a figure while she was shipped out to us! Since I had been looking forward to her and wanting her so much for so long, I would have been disappointed with anything less than a near perfect figure so let’s see how Dead Master holds up agaisnt my almost unreasonable expectations..
Oh, and please click on the photos if you’d like to see them at full scale!